To restore light to the world, team up with the mysterious creature Midna and embrace the darkness to transform into a divine wolf. Fight through labyrinthine dungeons, survive puzzling traps, and meet a cast of characters you’ll never forget in this legendary Zelda™ adventure. The Legend of Zelda™: Twilight Princess is a critically acclaimed masterpiece, set in a massive world bursting with life—but also shadow. A dark figure from the Twilight Realm has invaded the world of light. As Link™, a farmhand turned cursed beast, you'll join forces with the impish Midna, the Hyrule Resistance, and trusted (albeit unusual) allies to survive a quest that will take you to the farthest corners of Hyrule and beyond… to the Twilight Realm. There’s a lot to love about Twilight Princess that often doesn’t get credit because it never could grip the imagination quite like Majora’s Mask, Wind Waker, or Skyward Sword did. The HD rerelease is a good chance to hop back in and appreciate all that – the terrific character development, the unique gameplay ideas, and a very scary Bug Princess. 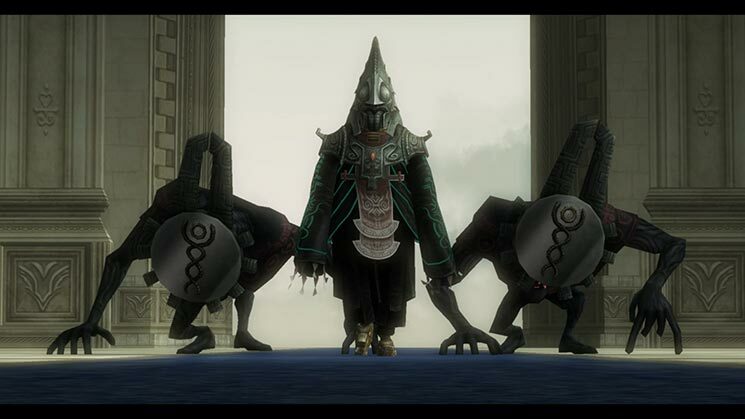 Twilight Princess HD is unmistakably a product of its time; one that was cursed from birth with a warped identity. 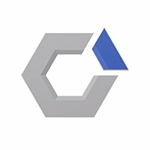 Crafted during anxious times for Nintendo, developed for two consoles simultaneously, this was the GameCube's last hurrah, a Wii launch title, and a defining test for motion controls (which have been stripped out). Perhaps now, ten years later, it can finally be remembered how it ought to be; the dark and violent showpiece of a treasured series. 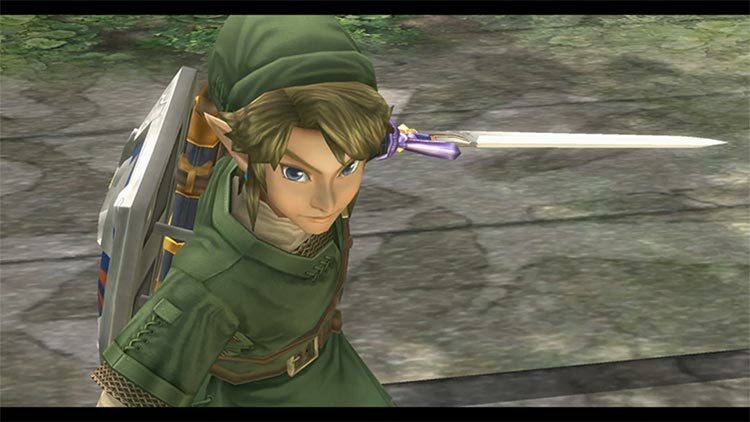 The Legend of Zelda: Twilight Princess HD is a must-have for players that enjoy the series. It is a lot better than my memories led me to believe, and I cannot stress how good the dungeon design in this game truly is. The wait for a new Zelda game has been painful, but Wii U owners now have two remastered adventures that beg replaying. This timeless series never fails to impress every time I dive back into one of them. The Legend of Zelda: Twilight Princess HD brings one of the Zelda franchises most beloved games to a contemporary platform, revamping some of the features and making room for amiibo functionality. While flawed in some ways, it gives longtime fans a good reason to replay it. It is clear, however, that this remaster was simply to give some kind of traction towards the eventual release of Zelda Wii U. The Legend of Zelda: Twilight Princess HD is a wonderful re-emergence of a wonderful game. The brand new HD visuals make the game look better than ever before, really capturing the beauty and majesty of Twilight Princess. The new game mode is fun, but it doesn't add anything of value to the overall TPHD feel. Otherwise it's the same Twilight Princess I'd played multiple times since the original launch on Wii back in 2006. It may not be perfect, but this remastering does one heck of a job bringing back an old classic from the dead. I think in 2006 I consciously tried to overlook and ignore its worst traits, focusing on its surface-level innovations — its gritty art style, its motion controls. In doing so, I never got a complete picture of the truly worthwhile Zelda adventure Twilight Princess represented: one that was flawed, yes, but also strange, bold and exciting. Twilight Princess HD is about as straightforward as remakes come, but it finally presents that picture with exacting clarity, warts and all. Tap the Wolf Link amiibo that comes with some versions of the game to your GamePad and you’ll be swept off to a series of combat challenge rooms indistinguishable from those in the Cave of Ordeals from the original game. 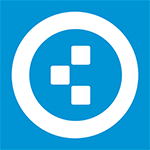 Changes like these aren’t the draw here for Wii U owners. The surreal, sometimes menacing story, the later dungeons, and the magically specific and soulful characters are what made Twilight Princess worth playing ten years ago, in spite of its very real flaws, and they’re what makes it worth playing today. The Legend of Zelda: Twilight Princess HD is a fantastic upgrade to an already magnificent game. Certainly, it hasn't aged as well as some of the other games in the series, but the work done to bring it to the Wii U fixes most of the problems that could have arose. It is, essentially, the same game, just in HD—and to be fair to Nintendo, that’s all the company ever promised it would be. But if this is the only Twilight Princess re-release we’ll get, I do wish they’d gone further with it, updating the models and controls and generally making it feel less like a GameCube game (especially for that steep $60 price tag). The Legend of Zelda: Twilight Princess HD holds plenty of memorable moments that’ve stood the test of time, and Nintendo’s high-definition update does a lot to modernize its look and feel. This cleaner, fresher presentation is still noticeably and disappointingly flat in some ways, but just past that are some of the best puzzles and dungeons to be found anywhere in the series. This HD version might not be as eye candy-worthy as Wind Waker HD was, but that really is a minor quibble for such an amazing experience. 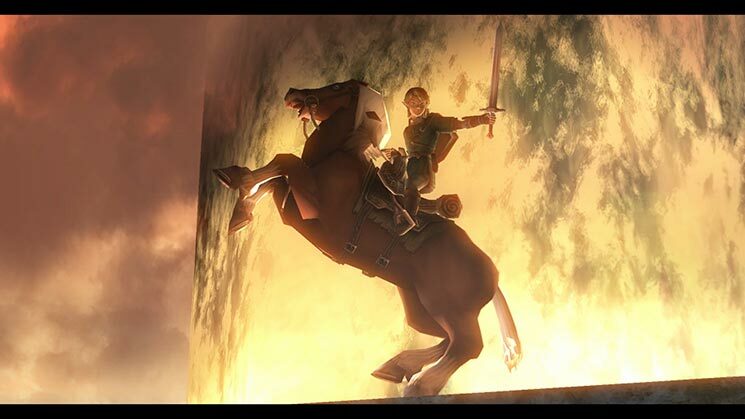 Ocarina of Time is still the Citizen Kane of video games, but for pure mood and soul Twilight Princess is unparalleled. This is a fantastic game, even with the lame side quests and overworld. If you missed out back in the day or only have fuzzy decade-old memories, this Wii U remake is, no doubt, the new and best way to experience Twilight Princess. Some elements of the game haven’t aged all that well and the remastering process simply hasn’t addressed them. However, with that still in mind, Twilight Princess HD remains an adventure that deserves revisiting, still offering a great deal for returning fans and newcomers. Most will likely consider Ocarina of Time to be the high point of the series, but take away the nostalgia factor, hold these two up by their merits, and Twilight Princess gives Ocarina a run for its money, while HD improves upon that in almost every way. It's natural that such a classic won't age well across the board, but when we look back and think about how much we have enjoyed the game over the last few weeks, ten years after our first adventure, it has become abundantly clear that Twilight Princess is a huge, grand adventure that manages to surprise both those who played it back in the day and new players. Twilight Princess HD attempts to make the definite version of the game with a polished control scheme, superb sound, and graphics cleaned up for HD displays. 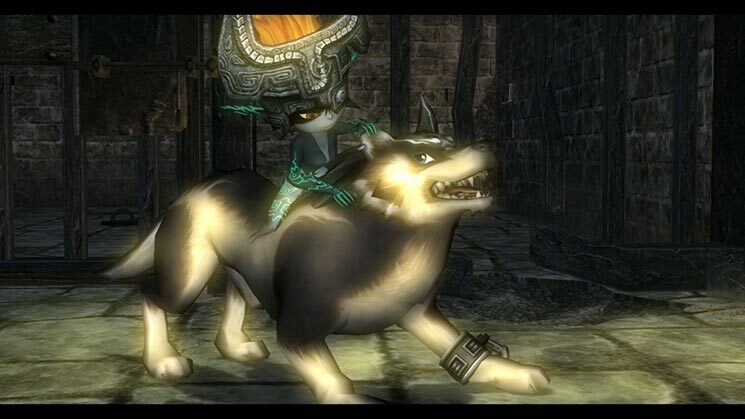 Twilight Princess is a good game, arguably even a great one, but it is by far our least favourite of the 3D entries. As the passage of time has shown it has brought nothing new or lasting to the franchise, and while perfectly enjoyable it does nothing better than any of its predecessors or successors. 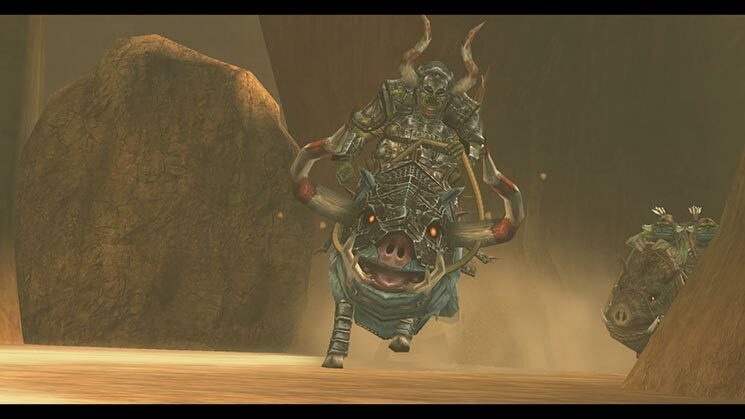 At the end of the day though, Twilight Princess HD is yet another must-have for the Wii U library. Considering this game is one of my Top 5 favorite Zelda games, the HD treatment is a true treat to behold. The little additions make for an immersive experience, and Twilight Princess has never looked better on your HD TV. While some may view it as a cheap cash in for those waiting for Zelda U, Twilight Princess HD should be in every Zelda fan and Wii U owners library. Para finalizar, aunque en su mayoría esta reseña se lee como algo negativo, Twilight Princess sigue siendo un clásico que debe de estar en todo librero de cualquier fan de la serie. Si puedes sobrepasar su aburrida estructura y tono general, disfrutarás de un Zelda ultra conservador pero con su buena dosis de reto en los dungeons. Por supuesto disfruté de revisitar esta versión de Hyrule pero al mismo tiempo me hizo valorar los cambios que ha hecho la serie cuando no está en modo “hagamos todo lo que hizo Ocarina”. Afortunadamente el futuro de la serie luce increíblemente similar a sus inicios libertinos y aunque no lo crean eso es lo más lejos que vamos a estar de Twilight Princess en mucho tiempo. The Legend of Zelda: Twilight Princess HD es una buena remasterización que cumple perfectamente su cometido de llevar este clásico a las resoluciones actuales para que todo aquel interesado en descubrir o rejugar esta apasionante aventura pueda hacerlo sin que su apartado visual suponga un inconveniente. Yo soy de los que ven en The Legend of Zelda: Twilight Princess HD una pista sobre la publicación doble de la próxima entrega de la serie en Wii U y su sucesora, NX. Sabemos que la partida guardada del remaster tendrá una utilidad en ese Zelda de mundo abierto del que no sabemos casi nada. Hacer el ejercicio de recordar puede ser toda una experiencia, aunque para los que de verdad es partida obligada es para los nuevos usuarios. Un "remaster" con gráficos HD, no demasiados artificios ni contenidos nuevos, pero que aún así cumple su función de traer al presente uno de los videojuegos de Zelda con mejor narrativa y jugabilidad. Se adapta de maravilla a la Wii U y sus controles, el mando está bien aprovechado y usa los Amiibo de forma eficaz, además de aumentar los coleccionables gracias a los sellos de Miverse. El Modo Héroe permite disfrutar de una experiencia más desafiante y, en general, estamos ante una reedición redonda que nos ha permitido volver a disfrutar de uno de esos clásicos modernos que muchos habían olvidado de forma injusta. Es ist schon komisch, wenn man nach zehn Jahren wieder dieses The Legend of Zelda: Twilight Princess spielt. Die Zeit ist doch schon so überreif für das neue Zelda und Nintendo NX! Genau wie damals schreckt der langatmige Einstieg zunächst ab, auch die fade Kulisse löst keine Begeisterung aus. Keine Bange, diese HD-Version wurde sichtbar aufgewertet, sowohl hinsichtlich der Oberflächen als auch Partikeleffekte. Der Spielfluss ist perfekt ausbalanciert und motiviert euch zu jeder Sekunde weiterzuspielen. Der Umfang ist mit dem neuen Heldenmodus für Veteranen gigantisch und der erwachsene Stil ist selbst für die Serie eine Ausnahme. Twilight Princess war schon vor zehn Jahren eines der besten Spiele aller Zeiten. Seine Remastered-Version beweist, wieso. Bref, on n’oublie pas que Twilight Princess fait partie des épisodes les plus marquants de la série, même si c’est aussi celui qui met le plus de temps à démarrer. Ah, un dernier mot avant de partir : il est urgent que Link et tous les habitants de Hyrule se mettent à parler. Cette version sublimée de Twilight Princess est une occasion en or pour les joueurs ayant manqué cet opus considéré comme l'un des meilleurs de la franchise. Avec une mise en 1080p attendue et des textures haute définition qui viennent caresser les yeux, l'immense travail de Nintendo sur l'ambiance de ce volet prend enfin tout son sens. Cette nouvelle version de The Legend of Zedla : Twilight Princess sublime l'épisode en lui offrant de superbes textures et quelques ajouts sympathiques notamment l'utilisation des Amiibo et l'accès direct au mode Héros. Si vous êtes passés à côté de cette aventure poétique et sombre c'est le moment de vous lancer ! Vous la découvrirez plus belle, plus immersive et au final encore plus magique. Comme le jeu n'apporte finalement pas grand-chose en matière de contenu, sorti des amiibo gadget et de l'ergonomie de l'inventaire, on aura donc du mal à le conseiller plein pot à ceux qui le connaissent déjà par coeur. Les fans de Zelda en manque et les curieux pourront eux déguster ce qui s'apparente à un grand best-of, dans tout ce que la série a de grandiose et, aujourd'hui, de désuet. The Legend of Zelda: Twilight Princess HD é a versão que os jogadores que nunca conheceram a maravilha de Twilight Princessprecisavam. Mesmo assim, a equipa que esteve a cargo da produção poderia ter sido mais audaz e havia potencial para oferecer muito mais aos jogadores que já tiveram a oportunidade de o jogar. The Legend of Zelda: Twilight Princess è un gioco invecchiato molto bene, nonché uno dei migliori capitoli della saga di Zelda che ogni giocatore dovrebbe provare almeno una volta nella vita. Anche se questa versione in HD fa poco per togliere polvere dal gioco, il prodotto di partenza è così forte che il gioco merita l’acquisto. Se, tuttavia, siete fra quelli che hanno spolpato il gioco su Nintendo Wii, potreste restare in parte delusi da quanto fatto in questa versione, che compie solo dei piccoli passi avanti. Forse Zelda avrebbe meritato qualche sforzo in più, ma possiamo comunque ritenerci soddisfatti: Twilight Princess è ancora bellissimo. Il risultato è quindi un remake realizzato in maniera più che onesta, senza sbavature, ma che inevitabilmente appare un po' accademico e quindi incapace di sorprendere appieno. Tutto ciò si traduce di conseguenza in un prodotto di sicuro interesse per chi non ha avuto modo di giocare in precedenza questa avventura di Link, o per chi desidera trovare una buona occasione per riviverla nella sua forma migliore. The Legend of Zelda: Twilight Princess HD non è il miglior capitolo della saga e nemmeno quello dotato di maggiore personalità e inventiva, eppure ricaderci dentro è davvero questione di un attimo. Nintendo ha, come spesso gli capita quando si parla di Zelda, la capacità di allestire un’avventura dai toni unici, ricca di carattere (anche se è un carattere già noto, per così dire), dai modi di fare eleganti e incapace di scadere nel fantasy più banale. Hoewel op de besturing van Epona het één en ander aan te merken is, mag dit de volledige Twilight Princess-ervaring genoemd worden. De graphics zijn een grote vooruitgang op de voorgaande versies en er zijn aanpassingen gemaakt, waardoor de game in 2016 een stuk fijner is om te spelen. The Legend of Zelda: Twilight Princess HD is niet alleen weer een fantastische Wii U titel geworden, maar ook een prachtige HD remaster van één van de meest bijzondere Zelda games ooit. 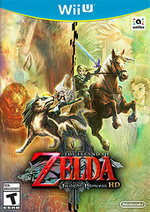 Als je Twilight Princess nog nooit hebt gespeeld is Twilight Princess HD het moment om deze magische game te ervaren, maar zelfs ook al kan je de game dromen zal je geen spijt krijgen om Hyrule nog een keer te reden van de invasie van Twilight. Här finns all den härliga design, alla kluriga pussel, minnesvärda karaktärer och hinkvis av gammal hederlig spelglädje som man förväntar sig från Zelda-spelen. The Legend of Zelda: Twilight Princess HD får givetvis en solklar rekommendation, trots att det inte har åldrats lika väl som Wind Waker eller är lika unikt som Majora's Mask.